I’ve had the pleasure to see the Badwater Ultramarathon from many different perspectives, as participant, crew, race volunteer and spectator. Each experience provides lasting memories and a renewed appreciation for all the effort it takes, on the part of the runner, crew and race organizers, to travel the 135-miles on foot from Badwater to the Whitney Portal. This year we were fortunate enough to crew for Reza Baluchi, who became the first Iranian to complete the race. The story of Reza’s life is pretty amazing. It is detailed on his Run with Reza website and summarized in a video on his Facebook page. Reza’s running career and training regimen are as unique as his life story. He doesn’t race much, rather his runs are more self-designed ultra-endurance events, such as running across or around the perimeter of the United States. He trains daily by running to and from work, 26 miles each way. For Badwater, he stayed in a small tent at a desolate campground in Death Valley for three weeks, from June 20 until we picked him up on July 10 to take him to Furnace Creek for the race. He had no cooking equipment but lived on bread, beans and other basics he brought with him. He trained daily running up and down Hwy 190, the main route of the race course, until the soles of his shoes melted… then he continued to train on them. Reza had very ambitious plans for the race and brims with confidence. He spent countless hours alone, refining his race plan on scraps of paper he found around his temporary new Death Valley home. Reza was a Badwater rookie this year and he will tell you that he learned a lot during the race. He began in the 10:00 wave with several former winners and the top three finishers from last year. His relative lack of experience racing showed from the start as he went out well-ahead of his planned pace, chasing the leaders, and was never able to get into the rhythm he’d sought. He also wouldn’t eat or drink according to plan. It was that combination of things, plus the oppressive heat that is ever-present in Death Valley, that began to slow his pace by around the end of the first marathon, which he completed in just under 4 hours. Of course, he had the equivalent of over four more marathons to go and he was already being slowed by dehydration and intermittent tightness in his quads that would plague him throughout the race. Reza took frequent stops at the crew van and walked for long sections between Furnace Creek, mile 17, through the hottest part of the day to Stovepipe Wells, mile 42. The temperature gauge in our van was stuck on 104F for the entire first day so we never knew how hot it was. AccuWeather shows an actual high of 120F, though we received reports that it was even hotter than that on the course. Though he struggled for most of the race and certainly had many down moments, Reza also demonstrated tremendous courage and strength and was able to maintain his unique sense of humor through his discomfort. Here’s a video shot during a massage session near the Devil’s Cornfield. Reza’s friend Bear is massaging his legs and entire crew is there, including Bear’s girlfriend Raoudha who was a great asset to the team driving our support vehicle, co-crew chief Philip, and Lauren and Rene who did most of the heavy lifting on the crew and, along with Bear, did nearly all the pacing. At Stovepipe, we weighed Reza at Medical and he was down eight pounds so he rested there for a couple of hours and we all took a dip in the pool. Reza ate and drank enough to gain back much of his weight loss during this break so we continued on up the long, windy 17-mile climb to the top of Towne’s Pass. A few miles from the summit of this first of three major climbs, we reevaluated our crew schedule, since Reza was well-off his original goal of finishing Tuesday morning. Bear and Raoudha, who had primarily been in the support vehicle, took over as the main crew at about 1:30 in the morning so the rest of us could drive to Panamint Springs, mile 72, and try to get a few hours of sleep since it was clear we’d be on the course for much longer than planned. Trying to sleep in a car isn’t the easiest thing so most of us got very little. We were however able to rest a bit and had breakfast when the sun came up. We hadn’t mentioned anything to Reza, but most of us thought that he was unlikely to finish at this point and might drop out of the race at Panamint, assuming he even got there. We can credit Bear and Raoudha for reviving Reza overnight and keeping him in the race. So the rest of the crew was quite surprised to see Reza and Bear bouncing into Panamint Springs at about 7:30 AM, looking remarkably good. They spent about 1:45 having breafast and sleeping in the race-provided room at Panamint, then we were all off again heading up the steep 8-mile climb up to the Father Crowley lookout. From here it continued to be difficult with a mixture of running and walking, muscle fatigue and blister issues. On the positive side, Reza was eating and drinking much better than the first day and the temps were much cooler, though once again we really didn’t know how hot it was because our gauge was now stuck on 86F. After Bear massaged him again at Darwin, mile 90, Reza was able to resume running a pretty decent clip on the ensuing downhills until we approached mile 100. Bear and Raoudha had to leave before the 100 mile mark to drive to LA for a brief visit with Bear’s family, but they stayed at the race much longer than planned and played a critical role in helping Reza get to the finish line. It seemed to get hotter as we entered Owens Valley and the temps were now approaching 100F again. After a brief celebration as Reza reached mile 100, co-crew chief Steve took the support vehicle into Lone Pine to get a hotel room for the night and bring back some pizza for Reza and the crew. During this trip, Reza traveled just four miles, getting sick once and stopping to have Rene cut his shoes to relieve the pressure on his blisters. The break and pizza provided a good opportunity for reassess Reza’s race plan once again. We told him that he could walk the rest of the way and still finish over half a day before the end of the race and hours ahead of the cut-off to earn a 48-hour belt buckle. We also suggested that he walk, chat with his pacers and savor the incredible starry nighttime skies. Certainly he could try to continue to push himself and run and perhaps finish several hours earlier, but at this point it was a chance to simply enjoy himself as much as possible until he reached the finish line. Reza decided to walk from there, which gave us the confidence to split up the crew again and take turns sleeping in our recently-acquired hotel room. Reza continued through the night at a steady walking pace and arrived in Lone Pine, mile 122, just before 2:00 in the morning. We got him a cup of hot chocolate and he was on his way to final the 13-mile climb to the finish line at the 8300 ft Whitney Portal. Reza was in great spirits now as we reassembled the remaining crew for final few miles of the race. We stopped with him to take pictures all along the final ascent. We talked and laughed, his final race time becoming meaningless at this point. As a true testament to our support of Reza, the crew donned the dirty, smelly “Run with Reza” shirts he’d worn during the race and his three week stay in Death Valley for the last miles so that we’d have them for the finish line photos. Reza finished in 44:38:42, far from his aggressive initial goal, but we were all extremely proud of his accomplishment and determination to perserve despite his obvious disappointment. We had joked since dropping him off at his campgound in Death Valley that he needed to finish while they were still serving breakfast at the Whitney Portal Store by the finish line so he could have one of the enormous pancakes they make there. Reza finished just before the store opened on Day Two of the race and was indeed able to enjoy one of those legendary massive breakfast treats. So ultimately how will Reza remember his 2010 Badwater race? He’ll tell you he made many mistakes. He’ll say that he also learned many lessons and was so impressed with the other runners, many of whom he now considers new friends. He’ll remember meeting Marco Farinazzo, the 2009 champ, Monica Otero and others from Brazil while training in Death Valley and how they so generously helped him and cooked for him. But how will Reza be remembered? Beyond anything he could have accomplished in the race, I think the most important memories will come from the people he met in Death Valley during his three week stay. The employees at the General Store and Hotel at Stovepipe Wells who befriended him, stored his laptop computer during the day, allowed him use of the pool and showers, and played billiards with him in the Saloon some evenings. Several of his Stovepipe friends waited patiently there during the race to cheer him on, despite his arrival being much later than they’d hoped. He’ll be remembered by the NPS ranger who one day unexpectedly left an ice-filled cooler with food by his tent. And by the three road workers who watched him running there day after day and hung out at Panamint in hopes of seeing him, only to leave in the wee hours of the morning before he arrived. He’ll be remembered by his crew for the kindness and compassion he showed toward us during the race, despite his own struggles. 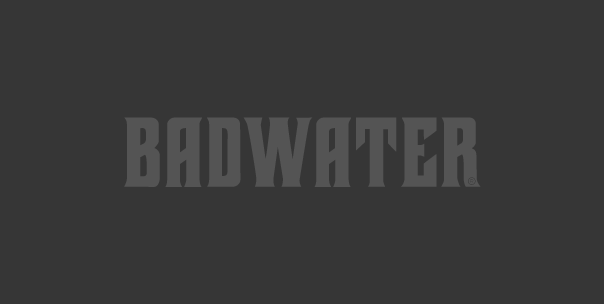 Ultimately, Badwater always seems to be a jumble of images and moments that are often difficult to put together into a coherent experience. This was no different, but I think the lasting impact that Reza will leave, as often happens as he travels the world, will be on the people he meets along the way and the warm feelings they have when they remember him.